Cor. I can’t imagine many StarCraft II fans are still worried about the stagnation of their eSport after a WCS as explosive as this year’s, but this – well, it doesn’t help. Mr Jung, a terrific Terran player from South Korea, has left professional StarCraft to take up a similar role in Prime’s League of Legends squad. In their translation of anInven report,Team Liquidwrote that MarineKing has always had an interested in LoL, and is currently ranked Diamond in-game after three months of preparation for the pro scene. “I will never forget my fans that cheered me on for years,” said Jung. “I will show a brand new form with that in mind. I did change professions but I will make sure to put on that fiery performance that my fans love on the LoL stage also. 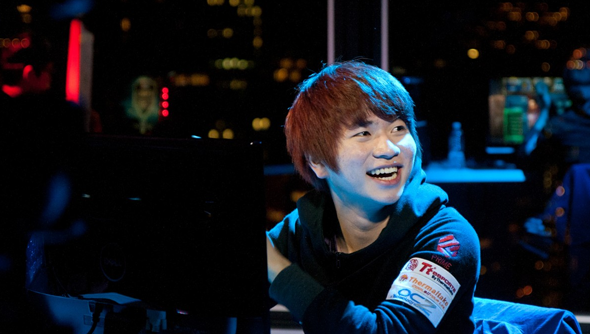 Prime’s team supervisor Gerrard acknowledged that there will be “a lot of anticipation” around Jung’s debut, given his history, but didn’t seem overly worried. Nonetheless, his contributions to the StarCraft scene will be missed, and I imagine he’ll pull some dedicated fans over to the MOBA with him.